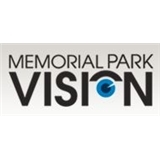 Memorial Park Vision (Houston) - Book Appointment Online! Memorial Park Vision caters to the individual looking to get a complete eye exam and a full selection of designer frames. We look at the whole person, including such factors as nutrition, exercise, and working conditions. Dr. Howard is dedicated to preserving and improving your vision. Maintaining healthy eyes is the most important part of our practice. Dr. Howard and staff will make your visit comfortable and personalized to your eye care needs. By providing the best in optical services and helping you choose the right frame, Memorial Park Vision is here to serve you. The staff that I interacted with were very kind. Every part of my check-up was explained since some of their techniques are a bit updated. For instance, no air was blown on my eye! I appreciate the modern technology and various options that were given. I opted to have a photo of my eye taken, versus getting my pupils dialated using eye drops. This choice allowed Dr. Gorman to show me what she would have seen had it been live and not a still shot. Lastly, the office, which was nicely decorated, had an upscale display of glasses. I was mostly drawn to the Tim Ford styles, but I opted to just purchase my spectacles online. Dr. Howard and all of her staff were super helpful and cheery. They helped me right away and answered all my questions.